Third Person is the trio of reeds maestro Umezu Kazutoki, percussionist/vocalist Samm Bennett, and a constantly changing third member. 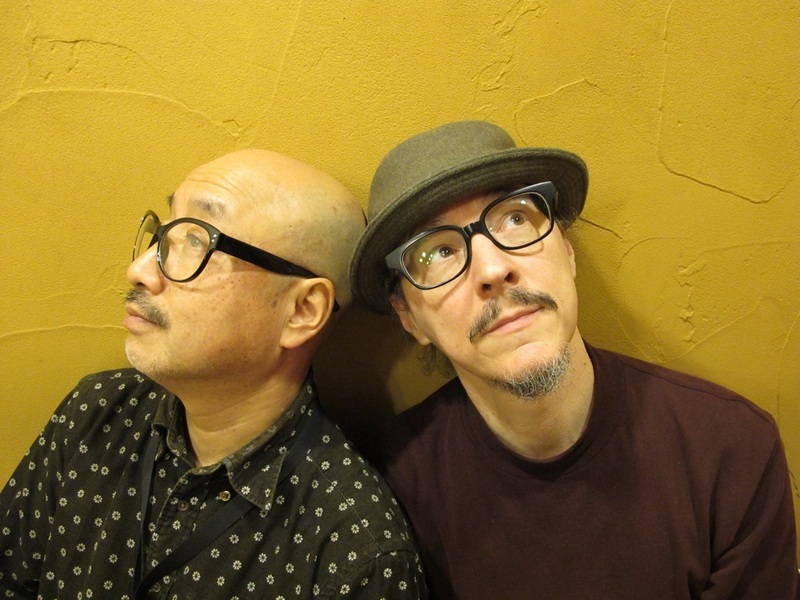 Samm and Umezu-san's musical relationship dates back to 1986, when they first played together in a 'blind date` duo show at the then-newly-opened CAY venue in Aoyama, Tokyo. That was the beginning of a long and varied professional partnership that found them working together in many different musical projects. But Third Person didn't start with Samm and Umezu: the first incarnation of 3P was comprised of Samm and cellist Tom Cora, now deceased. Tom and Samm came up with a simple idea for a trio: the third member would be ever changing. The familiarity of the two permanent members would give the improvisations a certain solidity, whereas the unpredictability of the always-new third collaborator would be the wild card. That version of Third Person was a successful endeavor for several years, with many fine musicians occupying the third member position: just a few of the many players who joined Tom and Samm for performances and/or recordings included Marc Ribot, George Cartwright, Zeena Parkins, Don Byron and many, many others. One of those others was none other than Umezu Kazutoki. What happened though, little by little, is that Umezu-san became such a favorite of both Tom and Samm's that he became, essentially, the permanent third member of the group, which fundamentally altered the original concept. Two CDs were released of Third Person that featured only Umezu-san as the third person (whereas the first 3P release featured a number of players from the NYC "downtown scene" of the 1980s), and there were several tours (in Japan and Europe) featuring the now-regular Umezu Kazutoki. Sadly, Tom Cora succumbed to cancer and died in 1998, at which point Third Person was dissolved. Samm and Umezu-san worked together in Japan on various projects. But in late 2012, 14 years after the passing of Tom and the ending of the trio, Umezu and Samm decided to begin the project anew, following the original model of always inviting a new third member. 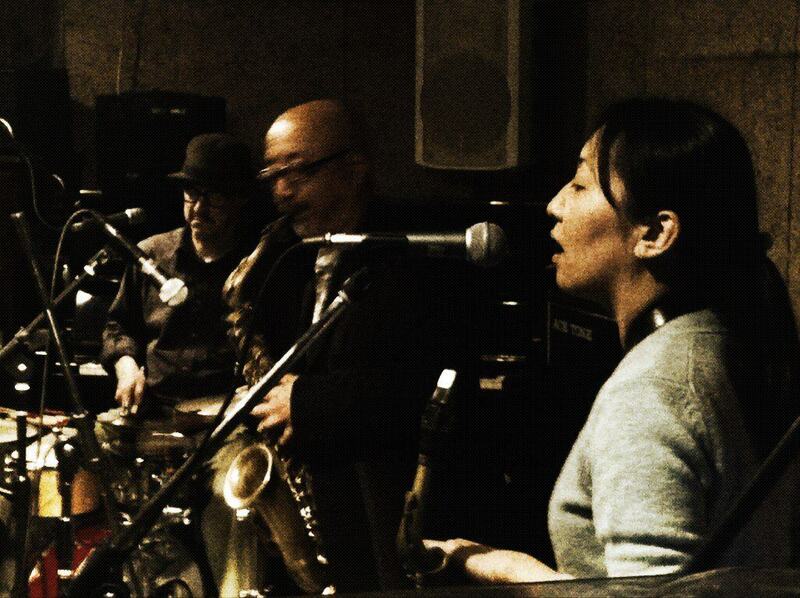 Since then, they've performed as Third Person in Tokyo, Gifu, Tsu and Nagoya, Japan, with a range of guest members that so far has included Katsui Yuji (violin), Jim O'Rourke (guitar), Ryoko Ono (saxophone, electronics), Tsuyama Atsushi (guitar, bass, vocal) and others.